Mothers prayers,and thoughts of Love: Who Moved My God? It has been a couple years now since I read this little wonder of a book, called "Who moved my cheese?" Great book. 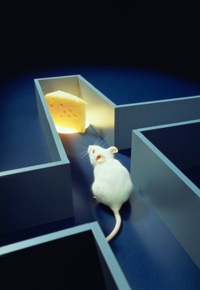 The concept was based on an experiment that had mice going through a maze day after day retrieving the same cheese from the same route. And this went on for a long time. But one day the experimenters decided to move the cheese to see if the mice were smart enough to go the new route to find the cheese. And the book goes into a lot of theory as to why one or two mice went with the change and the others kept the same routine. Which had no cheese there. The reason I wanted to make this relevant is because our God will not allow you to remain in the same place looking for something that is not there. God moves you, sometime when you least expect it. And with God you are always fed the word.